What is a synthesis essay? Find here the best Structure and outline! How to Define a Synthesis Essay? As you move forward in your career or even when you are already working at a company depending on your job, you will be asked to write Synthesis/thesis essays which are somehow the “steady cousin” of your regular descriptive papers. But, what is a synthesis essay to begin with? Unlike a paper or a summary, the Synthesis essay requires a better foundation, meaning that you need support upon every single argument stated in your paper. This way, you should center yourself in writing an essay that is, not only viable and descriptive but also based on real facts and/or expert opinions that can be part of a bibliography. On the other hand, your essay should answer one rhetorical question or even solve one problem, and be always free of any subjective opinion provided by you as a writer. 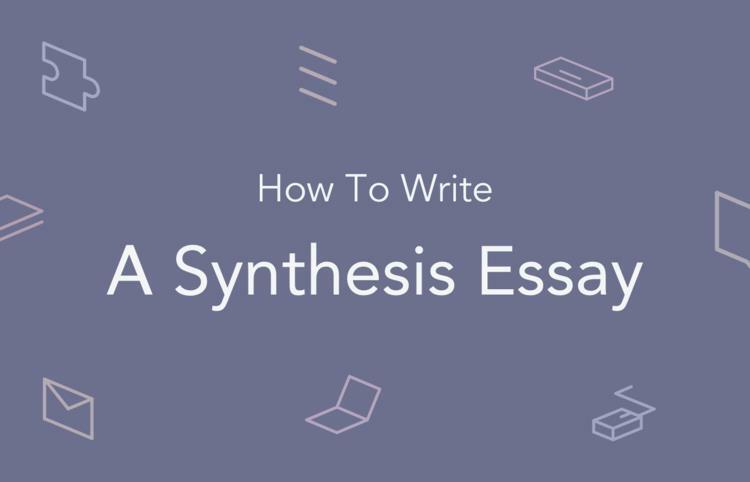 In this article, we will show you more about how to write a synthesis essay just ahead. What is a good synthesis essay structure? In which you will present the reader the arguments stated by your thesis. You can have from one or many arguments presented here, but keep in mind that as much as you propose is as much as you must develop in the body of your text. The body of your Synthesis essay is much like the backup of information. Here, you will develop the information for the reader to evaluate the evidence to support your arguments in order. After providing evidence for your argument, analyze it, allowing the reader to understand how this evidence reflects your argument as an objective reality and not a mere opinion. Then, you repeat the process for each argument stated at the beginning of your synthesis essay thesis. What is a valid piece of evidence? As we stated above, you need evidence that supports your arguments. Therefore, you should find information from valid sources, like books, academic thesis, and articles, statistics from reliable organizations and even news, which work as a solid base for your thesis. Note – Always include quotations with a format and mention the original author, otherwise you fall in plagiarism. At the end of your synthesis essay outline lies the conclusion. Here you will once again highlight your arguments and then clear out any possible doubt that can be left to the reader. This way, you can consider your essay as done. But, as you will notice in every single synthesis essay example, you have to follow a given guideline of form in order to get the job done right. Even when your professor will probably give you a format to follow, it may happen that you are on your own in this regard. APA format: Is usually applied to science, education and psychology works. MLA format: Is the one designed and applied in humanities. Turabian: Is the least common of them, since it is often replaced with APA, but is strongly used for business and history papers and essays. Note – The last page of your essay will always be the bibliography in which, following the format you chose, all the sources used in your essay must be reflected. Now you have a better idea about how to write a synthesis, which formats you can use and what is the proper synthesis essay structure. But, the main issue is still on the loose. What to write about in a synthesis essay? Every topic in which you can provide a powerful idea, and a controversy is applicable, is valid. Brainstorm at least 10 ideas related to your field of studies. Search the internet and other sources to select the ones with more information available and more social impact or relevance on their respective field. Get information about the current situation of the topic you like the most, and establish the risks, opportunities, weaknesses, and strengths of that situation. Based on the result you get from point 3, create arguments or ideas and select backing information from the one you found earlier. This way, you already have half the work done in no-time and it will be easier to follow up those ideas and develop them. Fill an order form and let us know if you need any help! We will provide the best service available for you to deliver a great synthesis essay thesis with rock-solid arguments with a great turnaround!